Each program has a Materials Fee to cover items such as books, handouts, and project supplies. The fee is $90 for the CORE Program and $15 for the ADVANCED Program. We offer housing that is within a very short walk to our studios. Options include modern cabins shared by 4 to 6 students, and dorm-style houses with single/double room assignments. All are air-conditioned and have kitchen/bath facilities. Cookware and utensils are provided, but students are responsible for their own meal preparation, housekeeping, and bed linens. A convenience store and laundry facilities are within easy walking distance. Free Wi-Fi is available throughout the Recording Workshop campus. Campus housing also requires a $50 security deposit. The first step to register for the CORE Program is to submit a Registration Form. This online form is available via the orange button above. After we receive your Registration Form, our Registrar's office will review it then send you an email to confirm enrollment details. When this confirmation is complete, to hold your seat in a specific CORE session, you'll need to pay a $200 seat reservation fee. This is not an additional cost, it will later be fully credited against your tuition and lower your balance due. This seat reservation fee is 100% refundable if you change your mind about taking the program and let us know before classes begin. Several weeks before your CORE session begins, you'll get more emails to help prep you for your Recording Workshop attendance - details on travel arrangements, timing of arrival, what to bring or not bring. Our Registrar's office will guide you in for a great learning experience. Your invoicing for tuition and housing balances due will also be sent at this time. Recording Workshop students must be at least 18 years old at the start of classes. Exceptions may be made for students that are 17. In these cases, Registration Forms must be signed by parent or legal guardian and high-school transcripts must be submitted. High-school graduate reading and basic math skills are necessary, and classroom participation requires conversational English. Recording Workshop maintains strict maximum class sizes. Admission is subject to available space and will be filled on a first-come, first-served basis. To help students decide about taking the optional ADVANCED Program, we typically hold off on registration until students have had two weeks of training in the CORE Program. This gives them the opportunity to experience the high quality of our teaching methods before making any further commitments. Registration for the optional ADVANCED Program formally takes place at the end of the second week of CORE classes. Acceptance is subject to available space, sign-up order, and performance in the CORE Program. Through quizzes and testing, students are given feedback of their performance several times during their training. An overall final evaluation score is calculated based on a combination of written test scores, skill test scores, and subjective observations of studio performance. A student’s final evaluation cannot be more than 20% below the class average to receive Recording Workshop certification. This final evaluation is compiled and mailed with certification approximately two weeks after the end of the session. Students are expected to conduct themselves as a good member of the Recording Workshop community. Recording Workshop reserves the right to terminate the enrollment of any student guilty of disruptive behavior or destruction of Recording Workshop property. Any refunds in such a situation will be determined in accordance with school policy concerning voluntary withdrawal. Tuition and all other payments are 100% refundable up to the start of classes. Students who withdraw after partially completing their training are refunded their tuition less a daily charge. Our CORE Program has a daily charge equal to 5% of tuition. The ADVANCED Program has a daily charge equal to 10% of tuition. No refunds are given after the completion of one half of any Recording Workshop program. Students are responsible for providing communication of their withdrawal request. 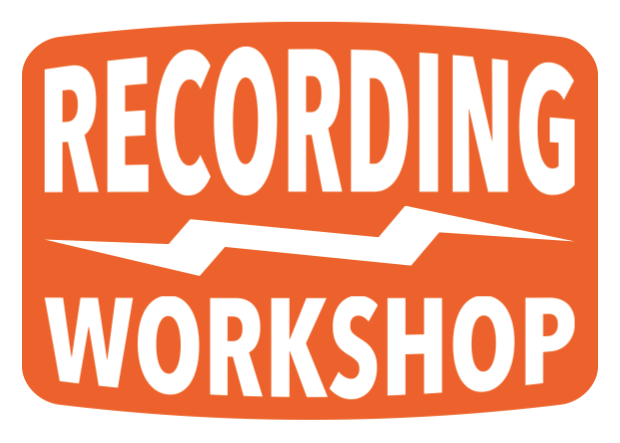 Subject to administrative approval, students who must withdraw from classes due to personal illness or emergency circumstances may return at a future Recording Workshop session to complete their training with no additional tuition charge. 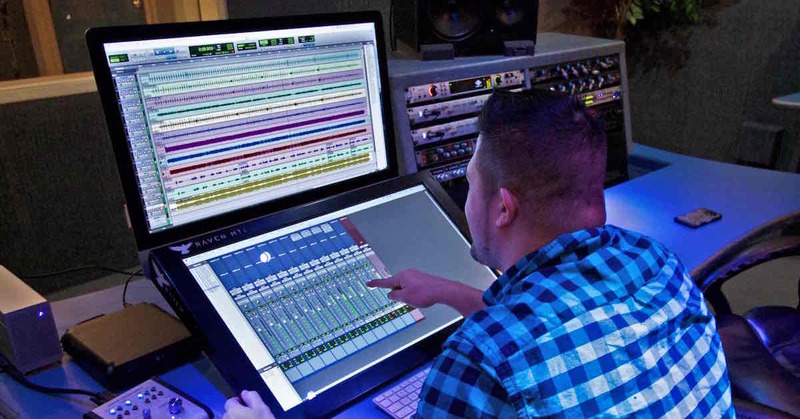 To allow for the continual improvement of its training programs, Recording Workshop reserves the right to update curriculum and studio content as described without notice. This same right is reserved to modify procedures and policies for the betterment of Recording Workshop systems and the student experience. All Recording Workshop policies will be created in accordance to the rules as established by the Ohio State Board of Career Colleges and Schools, 30 E. Broad Street, Suite 2481, Columbus, OH 43215. Phone 877-275-4219.